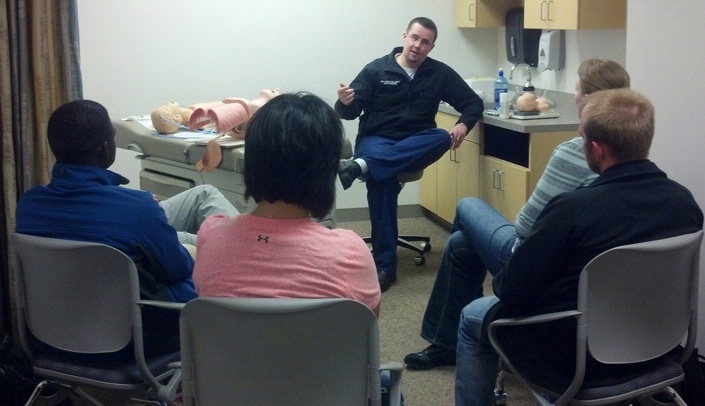 The Rural Emergency Medicine Course is designed for physicians, physician assistants, and nurse practitioners to review low-frequency, high-risk emergencies and practice lifesaving procedures in a realistic, controlled teaching environment. Our highly relevant and informative core sessions are updated each year by board-certified emergency medicine physicians. The 2019 event will include small group skills labs using patient simulators, lightly embalmed cadavers, and standardized patients. Procedure-based learning will include basic intubation, rescue airway devices and surgical airways, splinting, intraosseous access, chest tubes, domestic violence recognition and treatment, mega-code simulations, ultrasound guided IV access, and EKG interpretation. The University of Nebraska Medical Center and Children's Hospital & Medical Center of Omaha are co-providing this event with the goal to offer diverse learning opportunities related to both adult and pediatric emergencies. A course agenda is available in the associated tab. This activity has been planned and implemented in accordance with the Essential Areas and policies of the Accreditation Council for Continuing Medical Education through joint sponsorship of Children's Hospital & Medical Center and University of Nebraska Medical Center Department of Emergency Medicine. Children's Hospital & Medical Center is accredited by the Nebraska Medical Association to provide continuing medical education for physicians. Children's Hospital & Medical Center designates this live activity for a maximum of twenty one (21.0) AMA PRA Category I CreditsTM. Physicians should claim only the credit commensurate with the extent of their participation in the activity.